Michael Bloomberg is a hypocrite. While openly advocating for disarming regular people like you and me, he traipses around the country surrounded by armed guards. Now, he’s eyeing a presidential run in 2020 and is starting his battlespace prep. That includes some comments in Maryland. Michael R. Bloomberg, the billionaire former mayor of New York City who is considering a presidential run, appeared in Annapolis on Tuesday to chide Washington over the government shutdown and talk about the importance of compromise. He gave the keynote speech Tuesday at a leadership conference at the U.S. Naval Academy in Annapolis, praising the late senator John McCain — an academy alumnus — for his independence and willingness to work across the aisle. 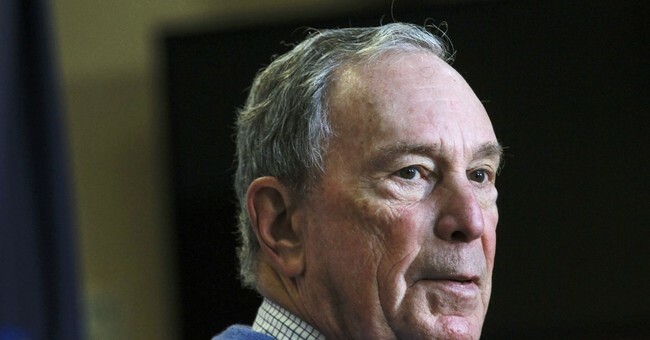 Bloomberg, once a Republican and then a political independent, registered last year as a Democrat, stoking speculation about whether he will run for president. Says the man who’s known for his stance on one issue above any others. Bloomberg is trying to lay the groundwork to criticize President Trump over the government shutdown. Make no mistake, Bloomberg is an absolutist. He’s opposed to you or me owning any firearm. He’s opposed to the Second Amendment in any way, shape, or form. Between that and the regulations he pushed in New York City regarding soda size, he’s opposed to allowing you to make decisions for yourself, even. Michael Bloomberg is just as much of an absolutist as he’s claiming he’s not, but only on a few things. On everything else, he lacks any kind of principles to hold onto. That means you can’t know for certain where he’s going to come down on a given issue and that should give voters a significant cause for concern. The one saving grace is that Bloomberg isn’t likely to be the nominee. His support of stop-and-frisk measures while mayor are highly controversial among Democrats and will provide a significant impediment to his nomination. Plus, frankly, a lot of Democrats are partial to large sodas. That doesn’t mean he should be ignored. He’s still a billionaire who isn’t afraid to throw his money around to transform the nation in his own image. That’s something we should all be concerned about. But make no mistake. Despite what he says, Michael Bloomberg is an absolutist. He’s an absolutist in opposing your sacred and constitutionally-protected right to keep and bear arms. That alone is more than enough reason to oppose him. More than that, it also means you can’t trust him to hold his ground on any other issue.